SOOLEE is introduced representative techno DJ in South Korea through world wide brand "We Call It Techno" celebrating 20th German Unity. Annually he played most biggest festivals and clubs in South Korea such as World DJ festival, Global Gathering Korea. He's self-developed sound effects and programming make his sound different with any other DJs. He shared his various color of progressive and experimental sounds about electronic music through his own albums (commercial for domestic) 'ease into it', 'flash light' and 'breath'. last year he got fame with a live set with his own music on TV music program. As a Media Artist He prized from KGIT international media arts competition with his interactive audiovisual performance band 'Future Jazz' and selected Big Boy which means next rookie in Korean Arts scene. F.ound local magazine introduce him as "Unbounded unlimited future musician"
His Techno album ‘Circle Back’ and “I was insane last night” are well supported for Alex Bau, Black Asteroid, Anderson Noise and many other. Also Circle Back is introduced CLR Podcast for celebrating 200 episode by Black Asteroid. Soolee is signed for Sienna Obscure label for artist and his full-length debut album and co-worked album with Black Asteroid will released early of next year. 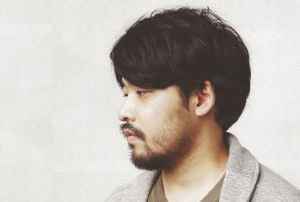 He established ‘Less n Less’ and "More than Less" label with Jin Kim since 2012 and making history of underground Techno in Seoul.